This stylish guest bedroom combines unique design elements and practicalities. It is inviting and relaxing and yet it is uncompromising in its style and attention to detail. 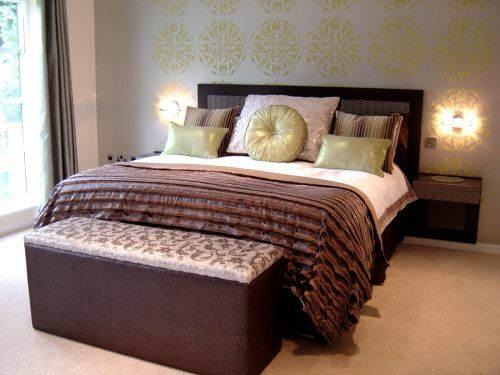 The hand printed wall paper on the feature wall creates a perfect back drop for the bespoke bed and bed side tables. The colours are soft and muted. Your guests are guaranteed to have a good night's sleep in a room like this.